3 main reasons why your container plants fail. Sounds pretty basic so lets dig right in. 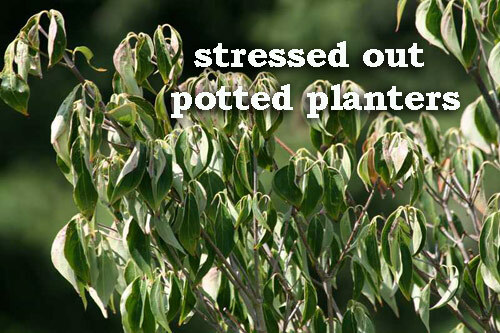 There are not a lot of reasons why a potted planter may being to show signs of stress. Often it has to do with the plants and what is going on under the soil. Here are a few reasons to help eliminate guessing. 1. 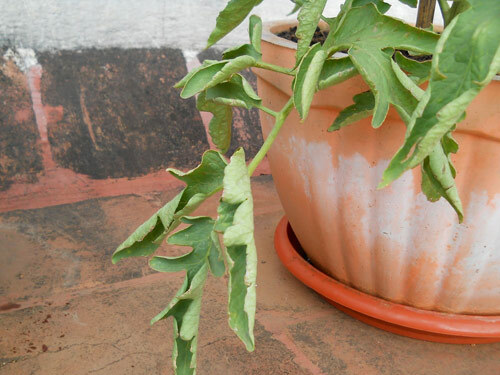 Vine Weevils - Grubs can come on sudden and destroy a potted plant arrangement in no time if you don't catch them early. Even though they don't fly they can grip to most plant surfaces and can easily crawl across walls and ceilings. Then they lay eggs in the soil. They can come in a nursery planter so check carefully before potting up the plants you bring home. Once the eggs hatch they burrow into the soil and feed on the roots. Obviously the plant can't take much of that and will stress out leading to death. The best thing to do is egg shells to the soil mix. Their sharp edges discourage them greatly. Adults can be picked off the plants. You can then add parasite nematodes to the soil to control the larvae. 2. Poor Drainage - This is a obvious one. If your garden container doesn't have proper drain holes or if those holes get blocked with soil the planter becomes waterlogged and the wet soil will suffocate plant root system. Once the roots dye, top growth will collapse and your plant can die overnight. You want damp not wet soil that drains well. 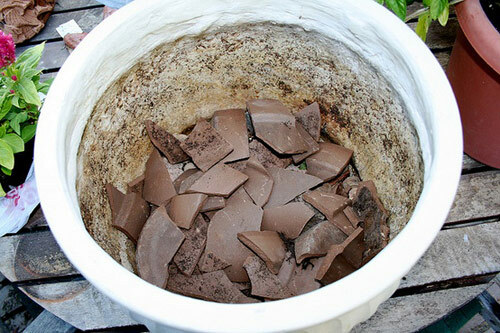 Here it's best to start with broken pot shards covering the drain hole. This let's the water drain but keeps the soil from plugging up the planters drain hole. If using a saucer keep the saucer empty once the pot has fully drained. Don't let the planter sit in standing water. 3. Starvation - Nobody thinks about your plant starving especially if you use new potting mix. When you water your plants, the water will leech out the soil nutrients eventually leaving your healthy plants sitting in nutrient depleted soil. Because your plants are contained and can't search for nutrients they will eventually collapse and die. Here is where fertilizer comes into play. 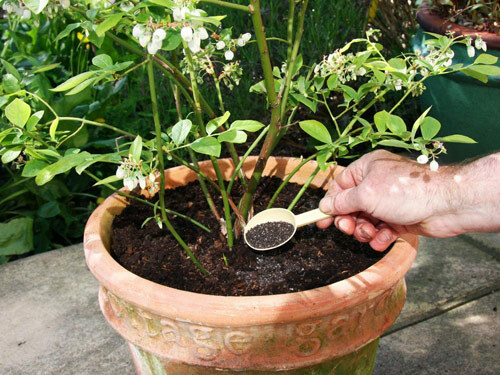 No matter how good your potting soil is, your garden containers will need regular fertilizer treatments. Try to use a good organic fertilizer and follow instructions well. Over fertilizing can burn your plants roots and also cause stress.